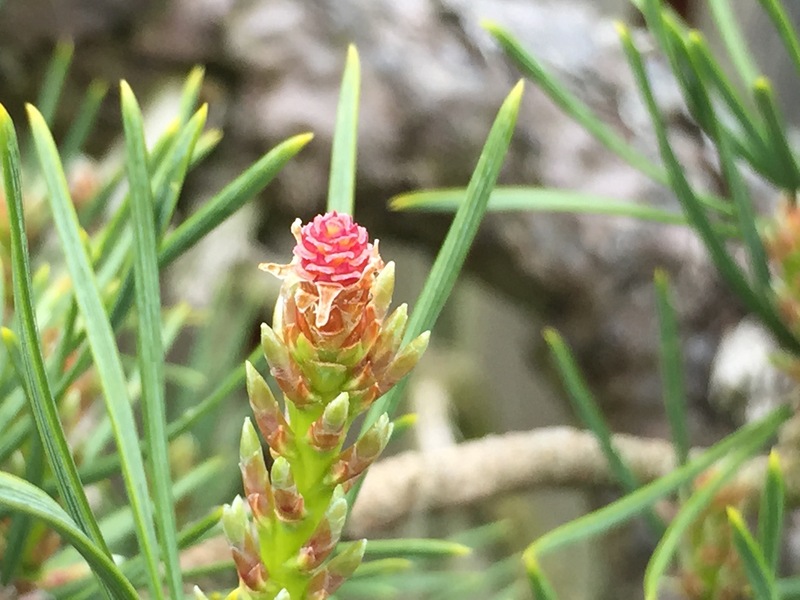 My first ever pine cone on a scots pine bonsai. Probably be removed with all the candles end of June/July after the needles harden off a little. Different tree and the flowers have been rubbed off. Easy during this early stage of growth. 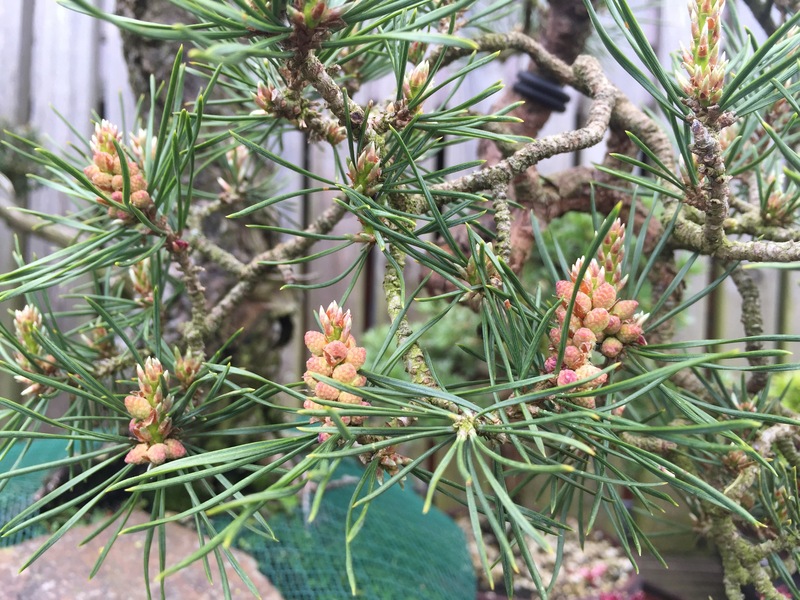 This entry was posted in Inspiration, My Trees and tagged bonsaiwales bonsai sylvestris scots pine. Bookmark the permalink. 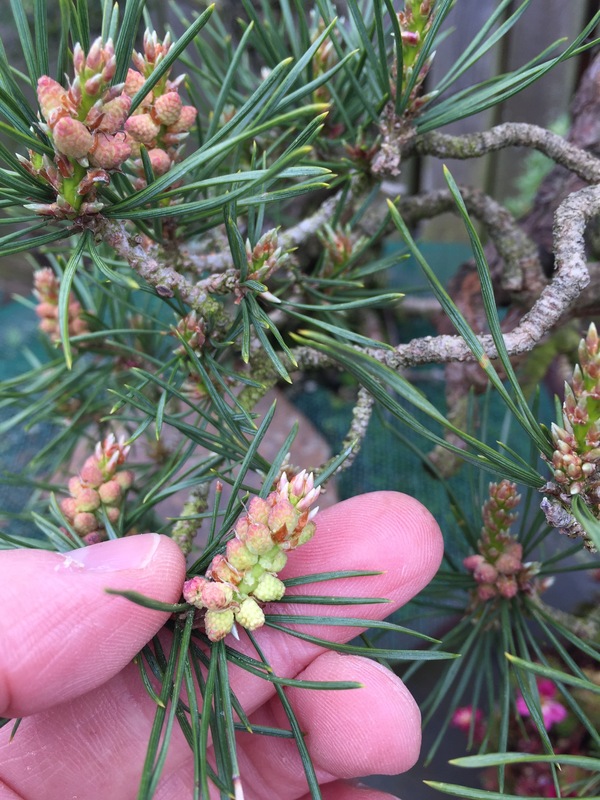 How long does it take for the cone to mature so the seed is viable. I think it is a 2 year process. 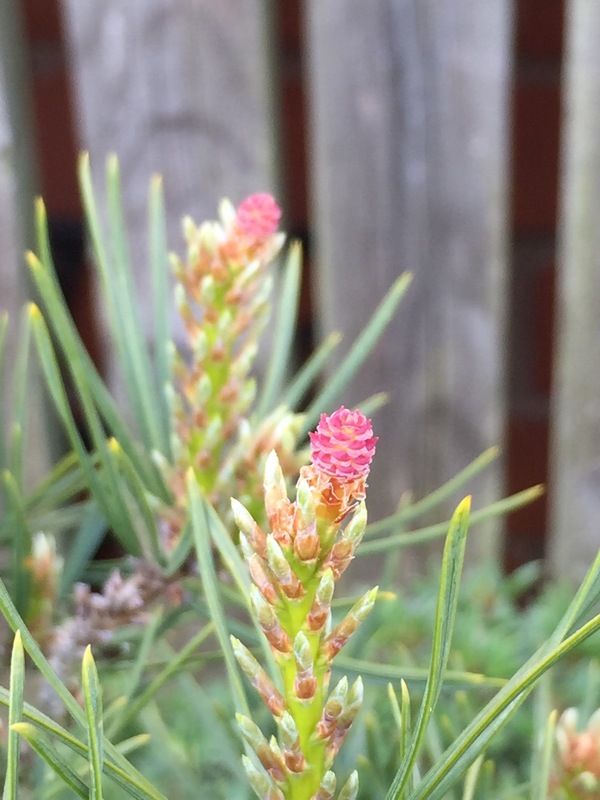 I for the first time this year have cones on both my scots pine and my jbp. Same red . I am excited as I want to start them from seed. 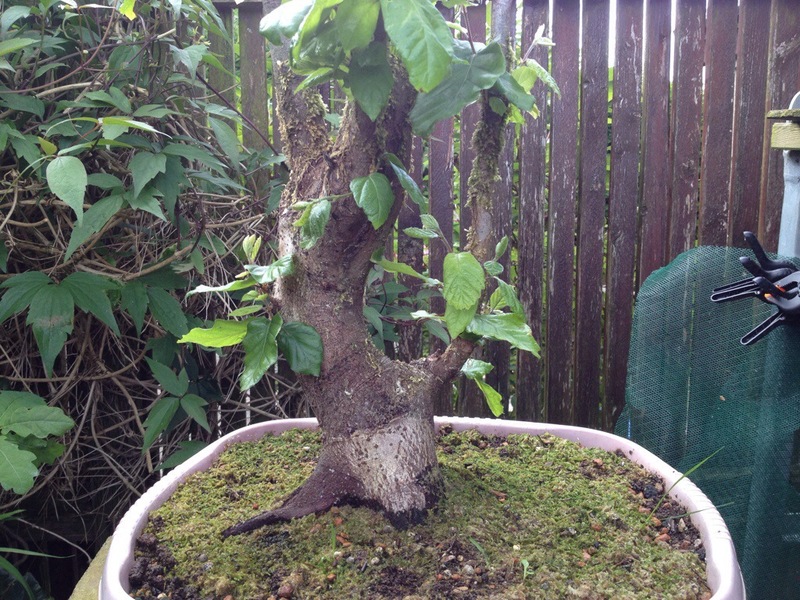 My jwp started cones at age 15 years and every year I plant some seed and have been very successful. My scots and jbp are probably 30 years old and this is their first time. So much fun. 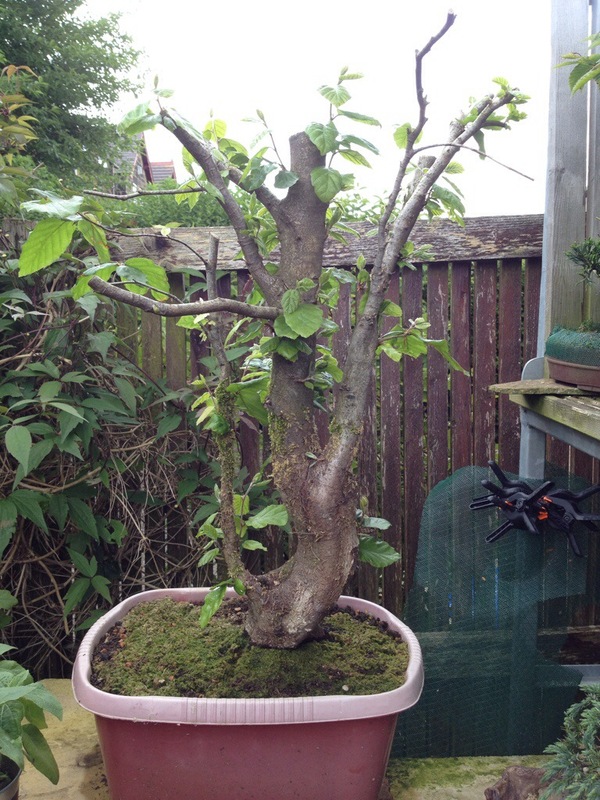 Cheers Bri… And to be honest it’s the first time I’ve experienced a cone growing on my Bonsai. 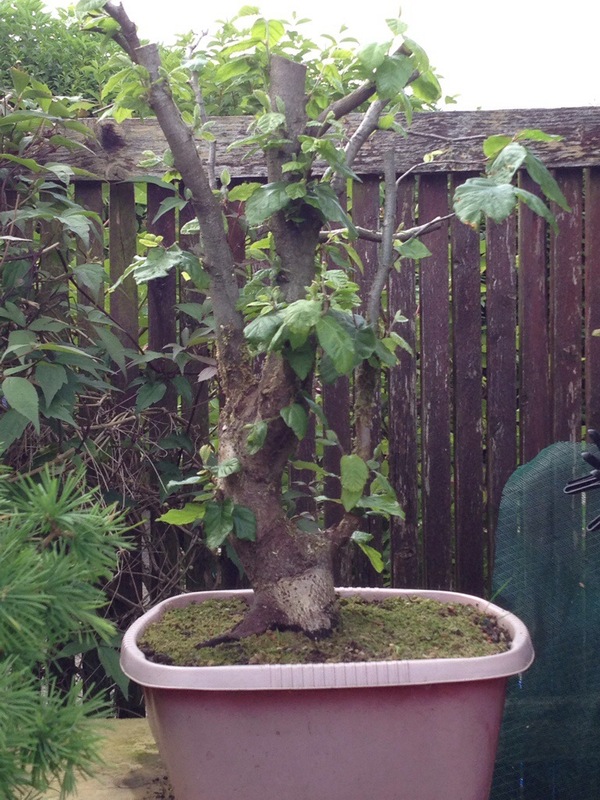 Having only been doing Bonsai for 8/9yrs… Only had pines since 2011.